Arhatic Yoga Level 1 involves the rapid activation of the chakras and opening of the major meridians to allow more Kundalini energy and Spiritual energy to flow through your system. Typically, students will experience an increase in the size of the chakras by 100% to 300%, depending on the ability of the energy body to handle intense Spiritual and Kundalini energies. You will also notice your healing abilities increase tremendously, you will have a less chance of being depleted when healing or when dealing with negative situations. Each of our chakras have inherent powers. By activating these chakras all the inherent psychic/psychological powers are magnified. Arhatic Yoga Level 1 will rapidly accelerate your spiritual evolution, and most importantly, your ability to do service. 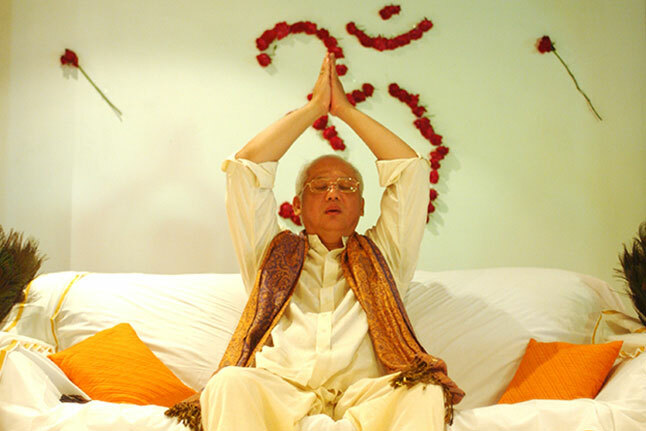 Each higher level of Arhatic Yoga generates approximately ten times more energy than the previous one. This would mean that a good foundation is critical if you are interested in applying for Level 1. Please diligently practice the techniques you were given in Arhatic Yoga Preparatory Level. This includes: Consistent Meditation, Purification and especially Service and Tithing. The higher chakra must be activated first before the lower chakra is activated. The purpose for this is that the higher chakra with the higher spiritual and psychological function must control the lower chakra with the lower psychological function, just as the manager or supervisor must direct the workers. If the lower chakras are activated first before the higher chakras, the higher chakras will not be in a position to control the lower nature of the person. This spiritual technique is very different from techniques practiced in India, where the activation is started from the lower chakras moving up to the upper chakras. In Arhatic Yoga it is the higher chakras that are activated first, then the corresponding lower chakras. The principle of activating the higher chakras first instead of the lower chakras is very important. If this instruction is not followed, spiritual disciples may encounter serious problems. The weaknesses of a disciple will be magnified and instead of spiritually progressing, the spiritual aspirant will retrogress. This is the reason why in ancient times, the guru would insist that a student undergo many years of inner purification or character building before they were taught how to meditate. Practitioners of Arhatic Yoga Preparatory Level, who have been consistently practicing for at least 2 years, are welcome to submit an application for Arhatic Yoga 1 by no later than 1 October 2018. Only after the application has been reviewed and approved can the applicant register for the course. Please note that submitting an application does not constitute approval to this higher level. In addition to reviewing your application, your chakras and auras will be evaluated to determine whether your physical and energy bodies can handle the increase in energy generated by these higher levels.